La Rioja has more than 7,000 hectares planted with vines. They are located mainly in small irrigated valleys west of the province, between the Sierra de Velasco in the east and the Sierra de Famatina in the west. 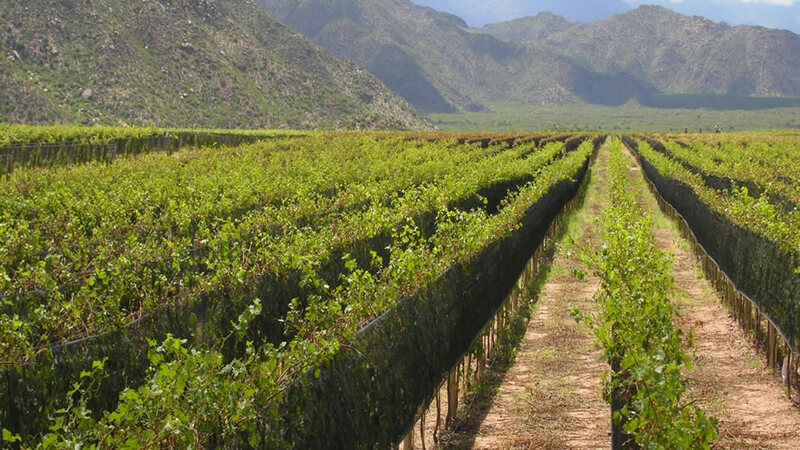 In this province there are two ways of viticulture, for artisanal hand, where homemade and regional wines are obtained and the other industrialized. The pile cap is mostly made up of white and pink varieties, among which we mention the Rioja Torrontés, which is the characteristic grape of the region occupying 35% of the acreage. The red varieties are less cultivated, among them predominate Bonarda and Syrah.